What is the gradient of OA? What is the gradient of AB? Enlargements and scale factors. Similarity and congruence. Angle properties of polygons. 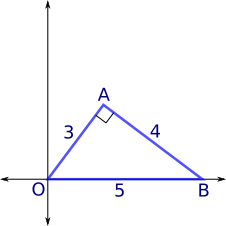 Pythagoras' theorem. Ratio. Graphs. Golden ratio. Geometric sequences. Fractal. Gradients.